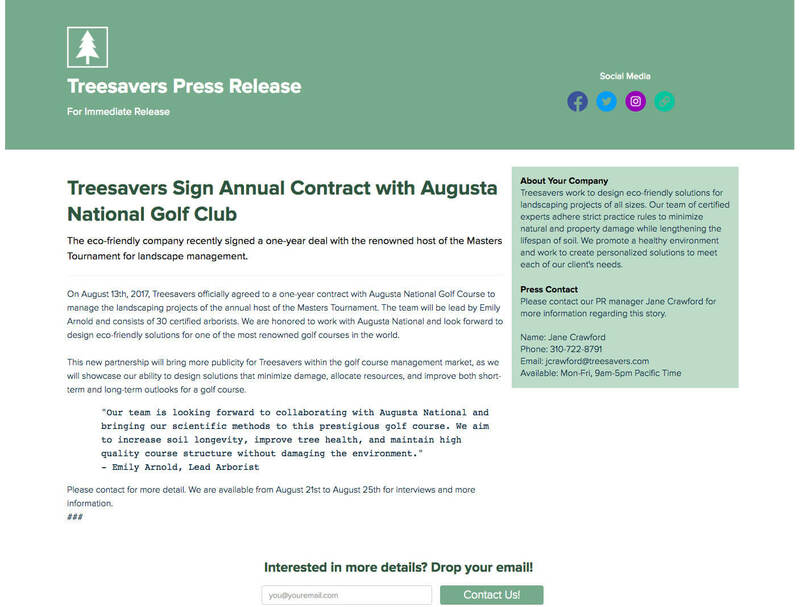 A press release is an announcement essential for ensuring the media and public know your company’s latest news. Press releases are all about showcasing what your company has achieved and milestones that make your company worth bragging about. Generally, your press releases should be about one-page long and should always be written in clear, professional language. 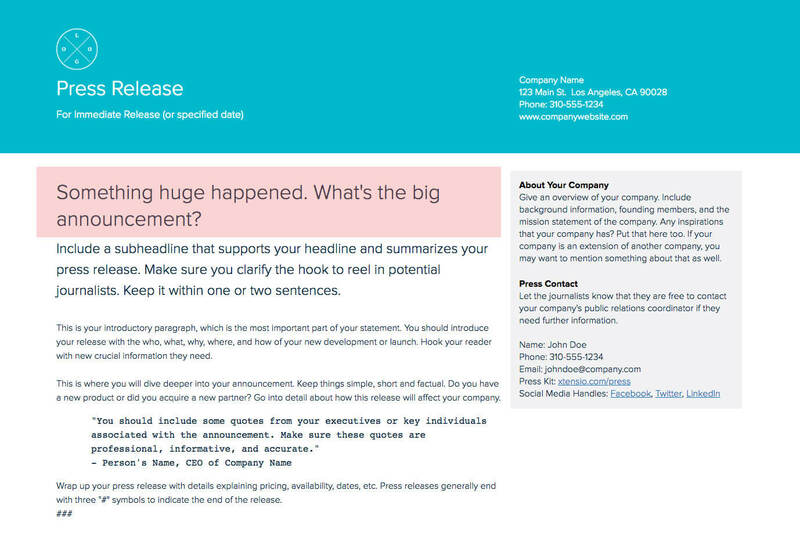 Create your Press Release - It's Free! 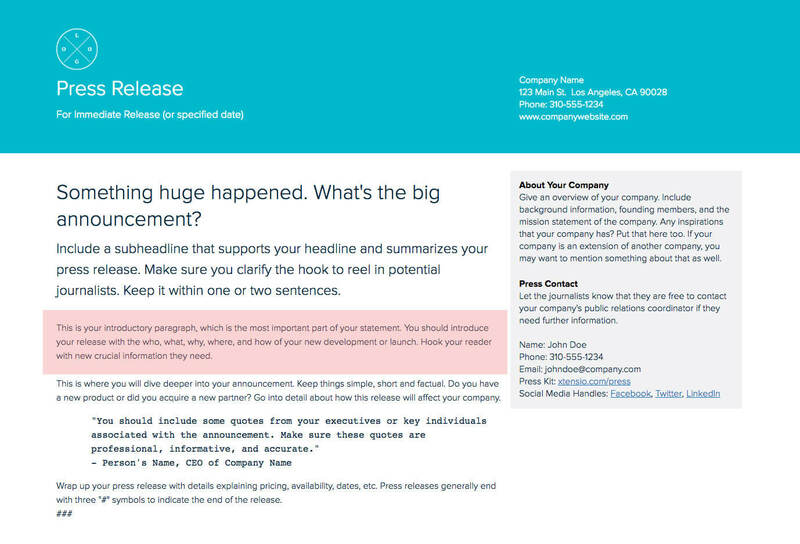 Your starting point to create and share a beautiful press release, without any design experience. Utilizing the media to create awareness of your company is a promising strategy. Companies both large and small use press releases to get the attention of journalists in an effort to increase traffic and conversion. However, actually getting a journalist to read your press releases is no easy task, especially if they’re getting hundreds of e-mails a day asking them the same thing. That means, in order to grab their attention, you’ll need to put time and effort into writing a strong, effective press release for all of your company’s major news stories. Let’s go over the steps for writing a successful press release and a few tips and tricks to make your’s stand out from the crowd. What is your press release about? What important company event or milestone happened? Why would anybody want to know about this news? Think about your audience. If you were in your readers’ shoes, what kind of headline would grab your attention and make you want to know more? Is this newsworthy? It is not enough if the answer is “yes” for you or your company, but why would others need to know about this announcement and how will it benefit them? Quick Tip: Don’t forget about the “subject line” of the e-mail you’ll be sending. If the e-mail isn’t opened, all of your efforts become useless. The subject line is the first element that will get attention, so make sure it is personalized and clear. Once you grab attention with your headline, now you should increase curiosity and make the reader want to learn more. 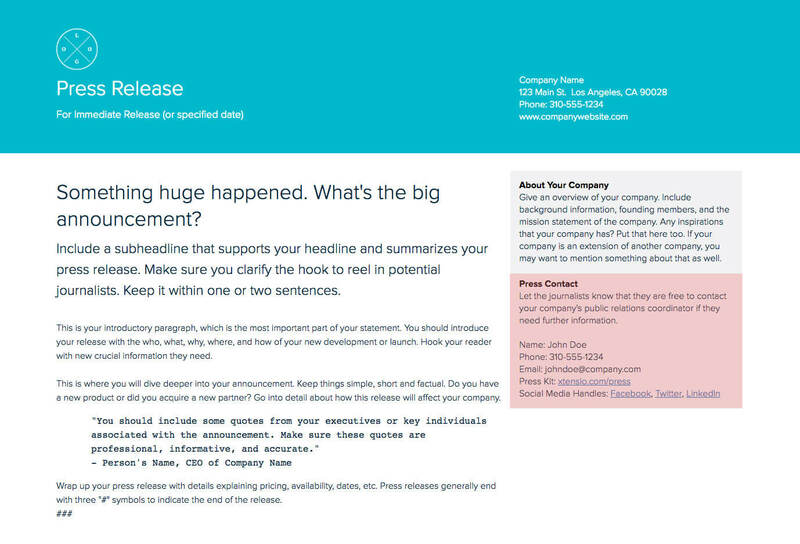 Your subheadline should be a brief summary of your press release and support your headline. Keeping it short and simple will work in your favor. The difference between the subheadline and the headline is that the subheadline allows you to explain why this piece of news matters in a complete sentence or two, before going into more details. 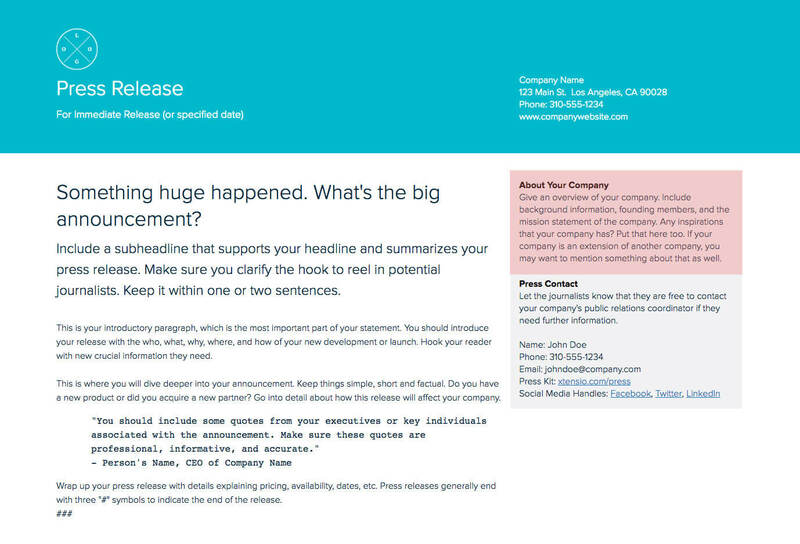 This is the most important part of your press release so think about what the reader would be interested in knowing. Instead of focusing the idea to get a news coverage, see this as a marketing effort and include valuable content that will capture your target audience’s attention. The first paragraph of a press release is where many people lose their audience. 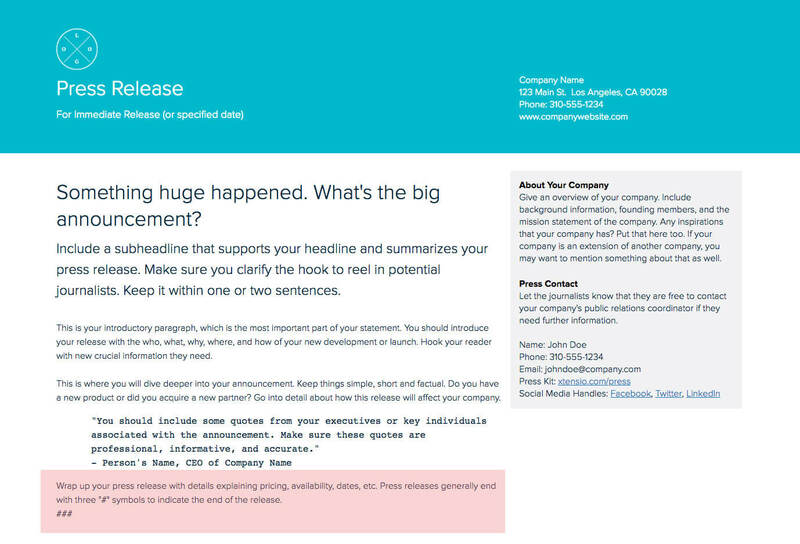 They either go into too much detail, use jargon or fail to express the reason for writing the release in a coherent way. Get to the point and avoid using technical or complicated language. Journalists will easily ignore your press release if they can’t catch the main idea in the first paragraph. Did you release a new version of an existing product? Did you launch a new product? Are you introducing a new partnership? Are you announcing a success story? Are you opening a new office in another location? All of these can be good reasons to get media coverage, but you should stick to the main reason you’re writing the press release. Although it might seem like a good opportunity to mention other information about your company, a press release is specific to piece of news about your company. Journalists can check out your website home page and Public Relations info to learn more about your company. Bonus: Collect all your media assets and resources under one document with Xtensio’s free Media Kit template and easily link the live folio link in your press release. Your headline was catchy, the subheadline summarized your purpose and the introduction was flawless. You’ve come this far, now you need to give more details about your announcement without losing the attention you’ve grabbed so far. To do this, you should be mindful of your audience’s interests and what they would be interested in reading about. How can it benefit them potentially? 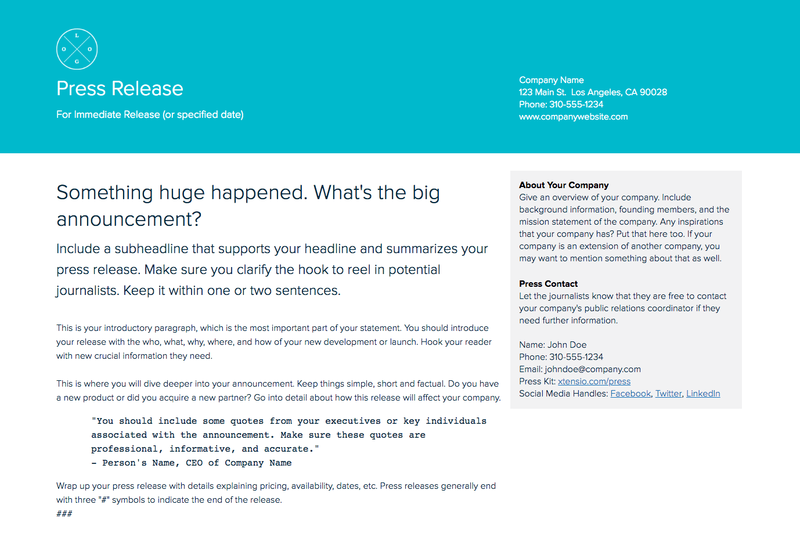 After adding details about your big announcement, you’ll need a strong, appealing quote to your press release. Journalists will use this quote when writing an article about your big news, so don’t include just any quote from anyone in the company. And don’t include a quote you used in a press release from 2016. Make sure the quote for the new release is up-to-date, relevant to your announcement and from an executive of the company. A quote is a great way to add credibility and get people excited about your announcement! Time to wrap up with details explaining pricing, availability, dates, etc. In the details section, you explained why this announcement is important, here you want to make sure who and what are very clear. Quick tip: Press releases generally end with three hashtag symbols (###) centered directly above the boilerplate and under the body copy to indicate the end of the release. Have you ever read an “about” section and not understood what that company actually does? It happens. And that’s probably not something you would want the readers to think of your company. To prevent confusion, keep your sentences short and the language simple. Briefly describe who your company is and what you do. This section should include your background, the founders, location and your mission statement. If your company has an extension, this could be a good place to indicate that as well. Sharing contact information about your company’s Public Relations or Media Coordinator will make everyone’s lives easier, and it will make your press release look more professional. 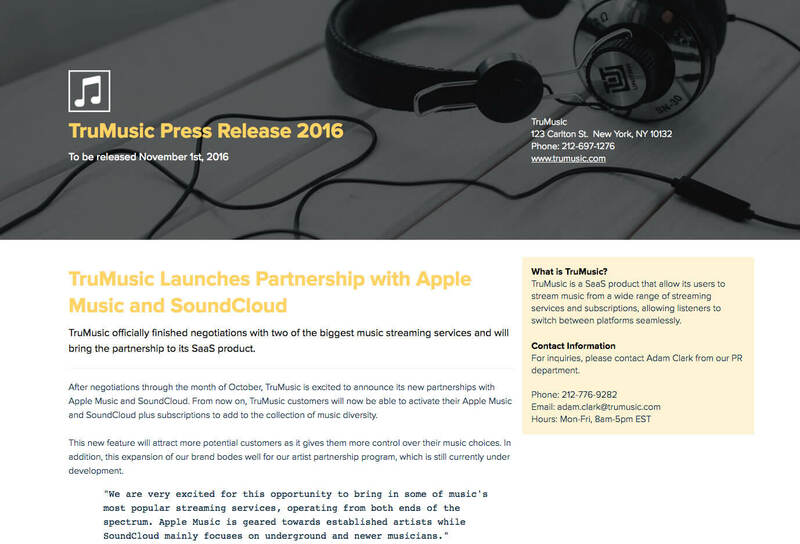 It’s useful to include a link to the press kit and social media accounts. Many journalists use social media, especially Twitter, to connect. Make sure to double check that your links and phone number are correct, and all names are spelled correctly. The more your company evolves, the more announcements you’ll share with the media. You’ll need to write each press release from scratch, but your company logo and all branding related items will likely stay the same. 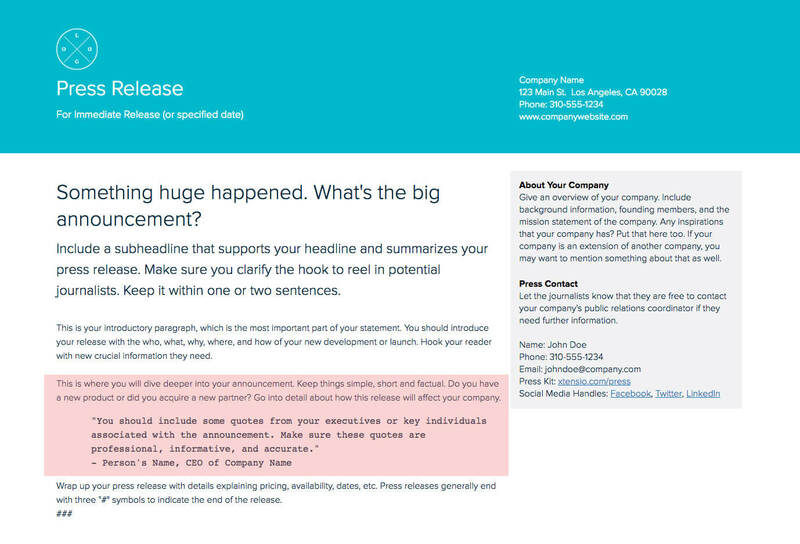 The press release template is adaptable just like other Xtensio tools, it can and should be repurposed, revisited, and revised to suit your evolving needs. You can duplicate your folio to easily get started on the next one or save it as a template. And remember, all of our templates are meant to be starting points. You can always add, delete, and move your modules and sections around with Xtensio’s versatile editor to adapt the press release as you need it.